Every last Wednesday of the month, BLACK MOUNTAIN brings his own Sound System at the PANKE bar. 3 Kw sound, strictly on vinyl with the best tunes from the Island. 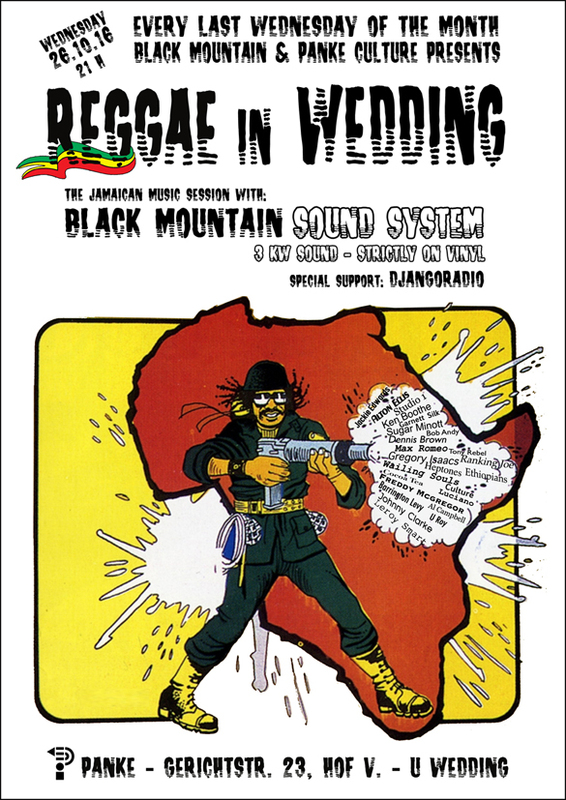 Presenting the REGGAE as a cultural, political, militant and social expression. From Ska to Rocksteady, through Roots Rock to Rub-a-Dub and Dancehall. From Prince Buster to Alton Ellis, through Burning Spear to Sugar Minott and Tony Rebel, high rotation on the turntables. A Jamaican Music evolution in a 5 hours long selection! DJANGO RADIO, the new online radio based on the World Music diffusion. Reggae, Hip-Hop, Soul, African, Rock, Punk… Live Radio, Mixtapes and Interviews covers the repertory of DJANGO RADIO. A wide opened view of the global music on the air!